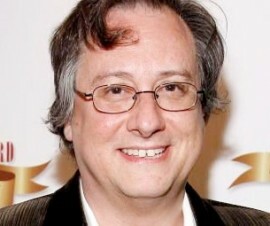 Douglas Carter Beane is an American playwright and screenwriter. Born in Wilkes-Barre, Pennsylvania and raised in Wyomissing, Pennsylvania, Beane now lives in New York. His works include the screenplay of To Wong Foo, Thanks for Everything! Julie Newmar, and several plays including The Country Club and The Little Dog Laughed, which was nominated for the 2007 Tony Award for Best Play and As Bees in Honey Drown, which ran at New York’s Lucille Lortel Theatre in 1997. Beane often writes works with sophisticated, “drawing room” humor. In 2011, Beane was hired to ‘doctor’ the book for the musical Sister Act alongside Bill and Cheri Steinkellner for which he was nominated for a Tony. Beane wrote the book of the Broadway Musical Lysistrata Jones and rewrote the book for a new adaptation of Rodgers and Hammerstein’s Cinderella opening in 2013. Also opening in 2013, is his new play for Lincoln Center, The Nance, starring Nathan Lane and directed by Jack O’Brien. Beane has also revised the libretto for the Metropolitan Opera’s new production of the operetta Die Fledermaus which will be performed in 2013- 2014. Beane is also the artistic director of the Drama Dept. Theater Company in New York.